The Guitar and Harp Department at RCS is structured to directly reflect musical realities in the 21st century. Most successful musicians live varied musical lives, it is our desire to prepare you for the profession and we feel you must acquire as broad a range of skills as possible in order to become excellent musicians and interesting, expressive artists. 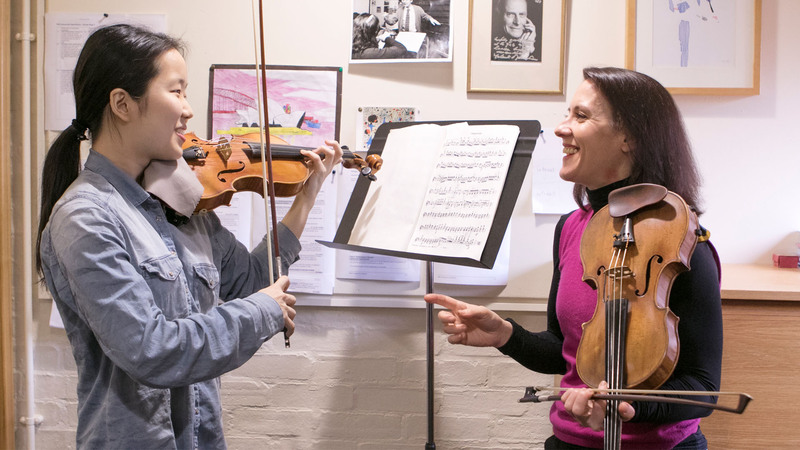 Weekly individual, group tuition, chamber music and orchestral performance are a focal point of the newly formed department. 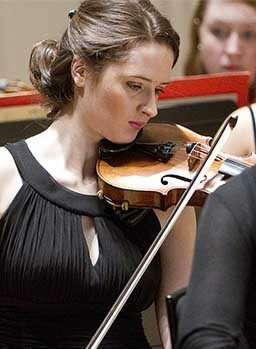 Regular collaborations with composers in creating new repertoire, side by side opportunities with all of Scotland’s national orchestra’s, classes in technique and performance practice, history and repertoire, improvisation, business skills, techniques of teaching, alongside regular masterclasses with visiting international soloists all are integral to the development of an aspiring and versatile musician. The guitar and harp department consists of an exciting, forward-looking team of lecturers, who are all experienced soloists, chamber musicians, orchestral players and teachers in their own right. They are on hand to give invaluable advice and tuition drawing from their own experience of life as professional musicians. The MA degree is designed for students who wish to achieve a Masters level qualification in one year, with 180 SCQF credits at level 11 (90 ECTS credits). The programme runs full-time for four terms, 43 weeks in total, with the fourth term being dedicated to a largely independent project. 31 weeks of 90 minutes principal study lessons are offered, to a total of 46.5 hours. (15 minutes a week extra may be allocated to additional study of a related instrument, where appropriate). The Conservatoire owns a 3x seven course lutes, 1 David Rouse Concert guitar, 1x Altamira Classical Guitar, 1x Manual Contreras Classical Guitar, 1x theorbo, 1x electric bass, 1x DPA contact microphone, 1x 19 th century guitar and 2 AER compact 60 acoustic amplifiers. We also have 4 concerts harps – 2 Salvi, 1 Camac & 1 Horngacher. We recently received a large donation of sheet music forming a guitar specific library. All of the above is available for students to borrow (you simply need to fill in a loan form and have it signed by the Head of Department). All of the instruments are kept in the guitar room (room 3:17) or in the AV Store. Conservatoire students are welcome to use all of the instruments, but they are responsible for care of the instruments when they are using them. Damage to the guitars must be repaired at the expense of the student responsible. Regular departmental classes and public concerts. External concerts range from freelance professional work with Music Clubs, Arts Guilds, Live Music Now, Enterprise Music Scotland mentoring programmes and local orchestra’s & choral societies.